On Thursday, June 7th, Roberto Malini, Dario Picciau, and Glenys Robinson, the Italian Co-Presidents of the Group for International Cooperation on Human Rights Culture, called on the United Nations to secure the unconditional release of thousands of Iranians arrested during the ongoing uprising in Iran. In their letter to the U.N., they also asked the international organization to take decisive action to prevent further suppression of and violence toward the peaceful protesters. 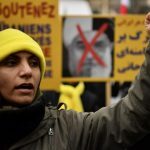 A call for the immediate release of protesters and an end to the brutal suppression of the regime toward its people, a call that had been supported by MEK previously. The widespread uprising, which began in December of 2017, was set off by protests about the poor economic conditions in the country, which have led to 75% of people in some rural provinces living in poverty, food and water shortages, and the withholding of salaries from some workers for months or even a year. As the uprising gathered steam, people began to protest the regime’s corruption and systemic human rights abuses as well. Protests were held in 140 cities across Iran, and by the time the uprising was briefly suppressed two weeks later, the people had joined together in a deafening call for regime change and nothing less. Despite the brutal efforts by the regime to suppress the uprising, including thousands of arrests, countless acts of violence, and the fatal shooting of defenseless protesters, protests continue today, with multiple acts of defiance toward the regime and protest gatherings occurring daily across the country. The regime has responded to this undeniable call for change with mass arrests, detentions, and further violence. Those protesters who have been arrested have been subjected to brutal interrogations and torture. Some of the arrested protesters have disappeared and others were killed under torture. The regime later announced that they have committed suicide in Iranian prisons! MEK members have been specifically targeted by the regime, and the regime openly blamed the MEK for the uprising. The letter to the United Nations specifically mentioned the recent protest in Kazerun on May 9, 2018, that turned deadly after suppressive forces fired upon the crowd from a rooftop. Four protesters were shot and killed and dozens more were arrested. Secretary-General Antonio Guterres, a spokesman for the U.N., responded to the deadly protests, saying that the U.N. “wanted to make sure that the rights of teams to assemble and to protest peacefully were respected by all, including the security forces.” He added that the United Nations would hold Iran to that standard. In their letter, the Group for International Cooperation on Human Rights Culture asked the U.N. to let the Iranian regime know that acts of suppression toward its people would not be tolerated and that continued actions would result in severe consequences from the U.N. 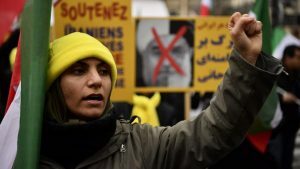 The Group for International Cooperation on Human Rights culture considers these acts by the regime to show a disregard for the Iranian people’s freedom of speech and their right to peaceably assemble. The Italian NGO believes that it is the responsibility of the U.N. to make the Iranian regime accountable for its actions.